I’m using a picture from the Wii era of Nintendo, in fact the pre-Wii era as it was the from Nintendo E3 Press Conference at which they announced the Wii. But moving on, I’m using this because this was the last time I owned a Nintendo Product. I bought a Wii and then well… I was done. I have purchased MANY consoles since then, including the a replacement PS3, PS4, and an XBOX ONE. 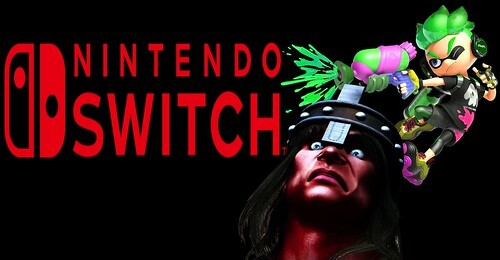 In fact, all that the Wii did for me was solidify that I WAS NOT and probably NEVER would be a Nintendo fan. Also, I would say that it solidified for me that the things that Nintendo did wrong were things that I just couldn’t handle. I hated motion controls, low powered consoles that could be used as Bunsen burners, and so few game releases every year that they gave Destiny a run for their money in the lack of new content department. But that WAS back in 2005. How things have changed over the years? Well… Some things anyway… It is now, the year of our lord 2017. Wow, time sure flies… Anyway, things have significantly changed, mostly. This year has been the greatest year for video games since 2006 and perhaps will surpass that year as well by the end. There have been SO MANY good to great titles coming out this year that one can hardly keep up. In fact, most people can’t. Strangely to me, perhaps not to others; but to me. Nintendo has been a big part of that. Even these days with their draconian video sharing policies, their insistence that this Internet thing is just a fad and is not worth investing in. And their desire to ignore all other technologies in the world that they themselves did not make or pioneer; To such a degree that they always seem to have multiple patient lawsuits pending against them at anyone time. What we can count on Nintendo for, are the GAMES! And that really is all we can count on them for. As a proud new owner of a Nintendo Switch(No, I won the console, I’m not buying a third console in a year so soaked in video games that we will probably all drown by the end). I can say that the games are REALLY the only thing this little revolution has going for it. The screen is very low resolution(720p), the GPU and CPU might be as strong as a PS3, maybe? And connecting this device to a television does get you an upscaled 1080p resolution at 30 fps! Wow, how 2005 of you Nintendo. Of course, this is the first console in history that can be a handheld or a home console. I just wish it was a master of one and not a jack of all trades. The console gets incredibly hot when docked and running a game for more than an hour. It gets SO HOT that some people have reported the plastic shell of the device warping. Wow, I would have never seen that coming and I don’t even have an engineering degree or anything…. Perhaps some more testing would have been in order there? You must plug in your headphones, because the console doesn’t support bluetooth. Which is an interesting feature to omit in 2017, in a consumer electronic device that comes from Japan…. The console feels so fragile in the hands that you honestly can’t figure out who this device was made for. It looks like it was made for a five year old. But a very cautious one, because dropping this thing from a foot off the ground would probably destroy the connected joy con controllers. There is a premium on metal here that seems very strange. If I made a device like this I would have either used a very high gauge plastic or some more metal. Everything seems like with little effort you could just snap it in half. Unlike all the other consoles that Nintendo has made that when not being used could function as doorstops; they were so durable. I know when I brought all of you here with my title you probably didn’t think I was going to complain the whole time. So I won’t. I LOVE the NINTENDO GAMES on the SWITCH. Yes, ladies and gents the thing that most companies seem to struggle with; continued quality of game titles. Nintendo has had no trouble with. Also, they continue to build their library of games this year at an incredible pace. It still is not that of console makers that have total third party support. But it is FAR BETTER than anything Nintendo has been able to do in years past. With my console I got Splatoon 2. Once I got used to the controls I absolutely loved being both kid and squid. The game is some fun on the handheld, but connect that to a large screen TV and you are in heaven. Using the pro controller I have found endless hours of fun in this mostly online third person shooter. And honestly I haven’t been able to say that since Gears of War 3. (Sorry Gears 4, you lost me). This game is amazing and having played now for a handful of hours. It is indeed the multiplayer that keeps me coming back and NOT the single player. While the single player is good, with good dialogue and some cool bosses. It cannot hold a candle to the fast paced action of the multiplayer. Splatoon 2, is not a “new release.” It came out back in July and while it seems like there still is large group of people both playing it for the first time or continuing to play. It isn’t exactly League of Legends or Destiny 2. But no matter how many Regular Matches I compete in, I have this feeling of satisfaction. Which cannot be matched or equated with any other game. I know this sounds hyperbolic. But I think Splatoon 2 is best multiplayer 3rd person Shooter I’ve ever played. Even if it is one of the most simplistic. I think that is what is great about Nintendo; perhaps what has ALWAYS been great about Nintendo. Gameplay is KING. No matter, how you get there, that is what you’ve come for. It isn’t the motion controls, graphics, or convenience of play. It’s GAMEPLAY and that’s it! 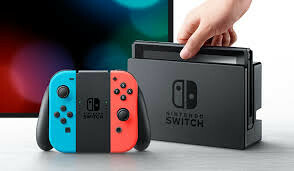 Honestly, I would love to make a demontized video series about my experiences with my new Switch. I’m just worried that since I’m not in the Nintendo Creator Club that my videos will be forced down by Nintendo. So anyone who knows anything about this sort of thing please hit me up on Twitter, and let me know if my worries are unfounded. Also, as this is MY article, please hit me up on Youtube and watch all my videos that have been demonitized and aren’t about Nintendo or the Switch. So whether, I will return here in written format or come back with a link to my wonderful Youtube series. 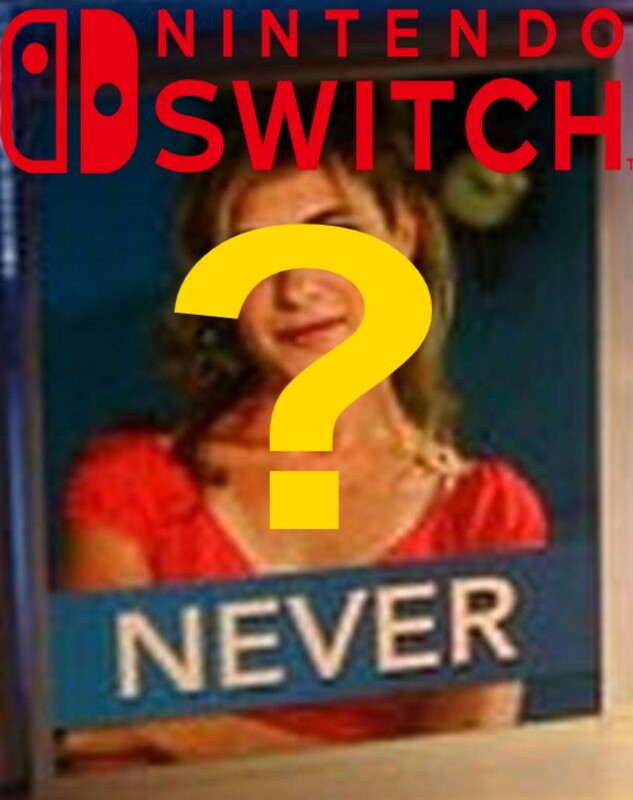 Please check back later for my continuing adventures with the Nintendo Switch. I will probably be writing reviews of the new games as they come. 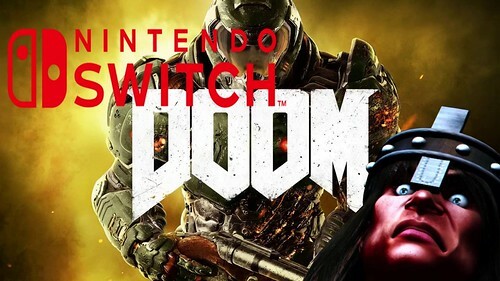 I’m only going to be reviewing Switch EXCLUSIVE titles however. Not just anything that pops up on the ESHOP or comes out for the Switch. I’m looking at you DOOM!